Yesterday was an epic 102 mile day with BBL with four attack zones and koms, adventuresome climb up bass pro cement road (close to 35% gradient), and followed up by more climbing with Mark through Mountain Brook and Vestavia. Today, Kristine was working up in Huntsville so I tagged along to do some riding/climbing up in Huntsville. First, the scoop on today’s ride up in Huntsville … Kristine was working her admin assistant job for the army reserve center up in Huntsville, so I decided to tag along to try to get a good long climbing ride exploring some new climbs and putting in a couple hard KOM efforts on others. I ended up falling a few seconds short on the Monte Sano climb (kudos Mark) but taking the Hawk’s Nest one. Here’s a view from the top of monte sano looking back down torwards Huntsville with the space and rocket center visible in the background (look for the tall white rocket). At this point in the ride, the temp had climbed into the mid 50s with a few clouds and even a little bit of sun. After exploring another Cat 3 climb on the Monte Sano ridge line, I headed down 431 towards Keel and the super steep Blowing Cave climb. As I approached Keel, it started to rain a bit off and on but nothing heavy or steady. By the top of the Blowing Cave climb, though, it was starting to rain a little more frequently so that by the time I had turned around and climbed Keel from the backside and then descend on the frontside it was pouring … and the temp was down into the 40s … and I had shorts and short finger gloves on. I immediately decided to cut out a huge chunk of the ride … Woodville to Skyline (Cat 2) … and trade it for an additional climb up Keel. This worked out well because the additional climbs up Keel kept me warm enough so that I wasn’t hypothermic for the descent down Blowing Cave. 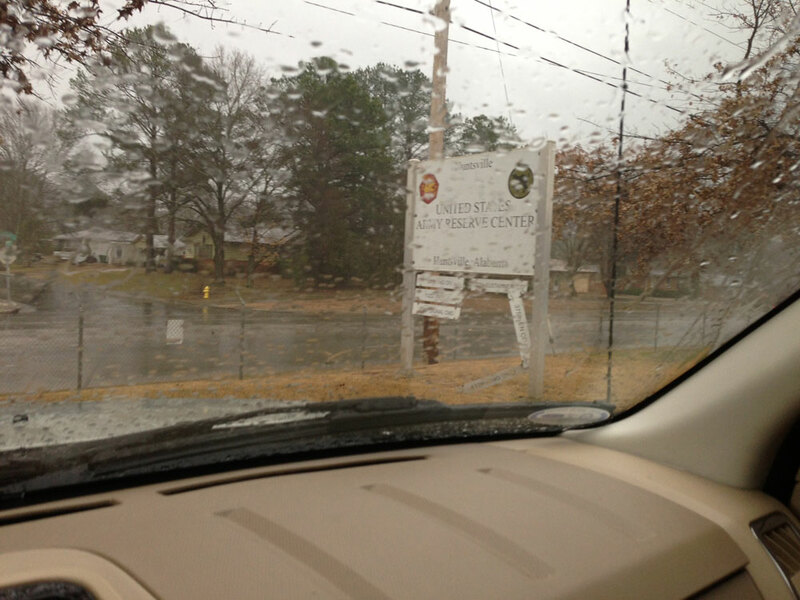 Warming up in the car at the reserve center after the ride while Kristine is working. Very cold rain for the last 35 miles of the ride. Now, the BBL videos from the attack zones and the climbs – in reverse order starting with the Bass Pro climb. 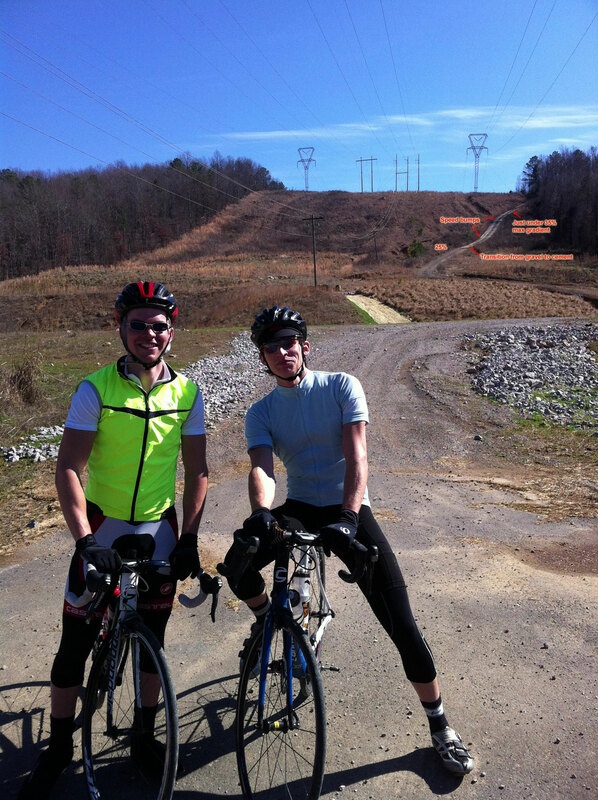 This entry was posted in Training and tagged bbl, climbing, huntsville, race ride on February 11, 2013 by kartoone. Which state are those races ? at the end of the BBL… To see you three giggling about the 33%er… and how nice it was when it dropped down to 30%… and then to do Karl. Do not hesitate to ask if there is anything I can do to assist you while in Dahlonega. We are friends of the Friends.